There were only three decades in British history when it was the norm for patients to pay the hospital, those between the end of the First World War and the establishment of the National Health Service in 1948. At a time when payment is claiming a greater place than ever before within the NHS, this book uses a case study of the wealthy southern city of Bristol as the starting point for the first in-depth investigation of the workings, scale and meaning of payment in British hospitals before the NHS. 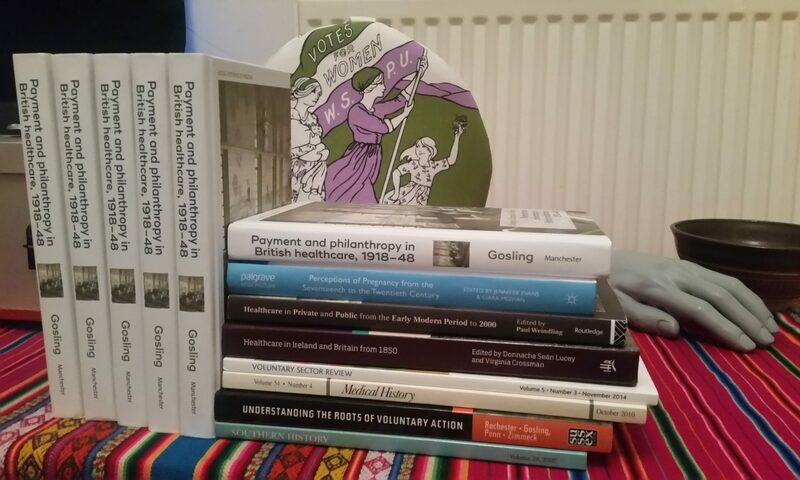 Payment & Philanthropy in British Healthcare, 1918-48 questions what it meant to be asked to contribute financially to the hospital by the medical social worker, known then as the Lady Almoner, or to subscribe to a pseudo-insurance hospital contributory scheme. It challenges the false assumption that middle-class paying patients crowded out the sick poor. Hopes that payment would have an empowering or democratising effect, and fears that commercial medicine would bring about the end of medical charity, were both wide of the mark. In fact, payment and philanthropy found a surprisingly traditional accommodation, which ensured the rise of universal healthcare was mitigated and mediated by long-standing class distinctions while financial contribution became a new marker of good citizenship. This book was published in February 2017 as part of Manchester University Press’s new Social Histories of Medicine book series, and thanks to generous funding from the Wellcome Trust is now freely available as an open access e-book from the OAPEN Library, the NCBI Bookshelf or MUP’s manchesteropenhive. You can also read related blog posts here or listen to a podcast of an early seminar I gave on the research here.